Hello! I hope you have had a great week. I have been marginally frustrated with my reading progress this week. I felt like I was reading really quickly but not getting through very many books. So what did I read? I started the week with The Red Magician by Lisa Goldstein which I received from the good people at NetGalley. As you can see from the cover this novel is an award winner. 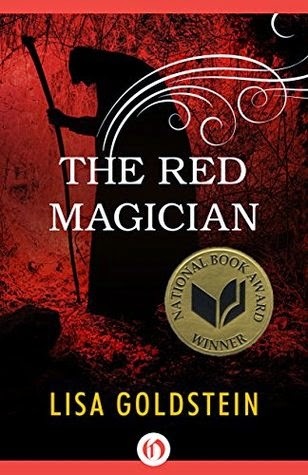 Winning an award isn't always an indicator of palatable book but in the case of The Red Magician it is a must read. I can't candy coat it and say that this is an easy read as that wouldn't be doing justice to either the book or the author. The Red Magician tells the story of Kicsi, a teenager living in a small town in rural Hungary. Her life completely changes when her father invites a a wanderer home for dinner. Voros, the red headed magician irrevocably changes Kisci's life. Voros tries to warn the village of the impending destruction of their way of life. The one person in his way is the local rabbi who is determined to silence Voros one way or another. Events take their toll not just on Kisci but everyone she knows and loves. World War 2 finds Kisci's village captured by the German army and most of her family are brutally murdered in the holocaust. She survives in an internment camp but is a shadow of her former self. Once again Voros comes into her life just when she thought hers was at an end. Faith and the power of friendship play an important part in the life of the teenage Kisci. This is a lovely story, a story of friendship, faith, belief in the impossible/improbable and new beginnings. Goldstein creates a story with a fairytale like feel and characters who are believable and realistic. This is a quick read but beware as its quite 'sniffy' at the end so if like me you read predominantly on public transport you may need to keep some tissues on hand. Book 2 of the week was less intense - Pack of Lies by Annie Bellet which is the third in the Twenty-Sided Sorceress series. I started this series a few months ago and haven't really found the story challenging but it is a quick and easy read. This instalment starts a few months after the events of book 2 where Jade is still recovering for her part in the death of her father and abandonment by the hunky Justice, Alex. 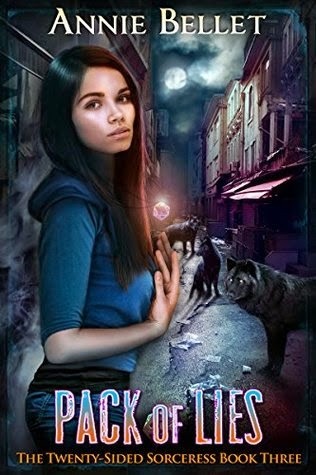 Trouble seems to follow Jade when a century old peace treaty amongst the wolf shifters is threatened when both shifters and human's are found murdered. Jade and her friends try to solve the murders and try not to get killed in the process. Yet again, this was an easy read but I wasn't especially challenged. I will keep reading only for the moderately big cliff-hanger at the end of this instalment. 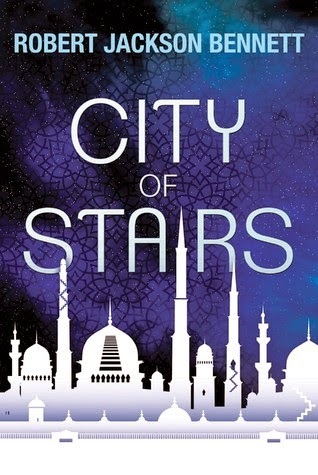 I then turned to another book from NetGalley - City of Stairs by Robert Jackson Bennett. Qwill reviewed this book back in September. I am only partway through the novel but so far I am gripped! I shouldn't be surprised though as any book Qwill likes then I am sure to agree. 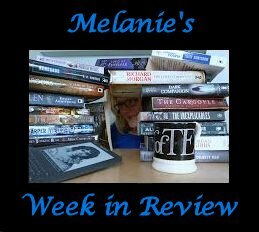 In fact most of my favourite books have been recommended by Qwill so don't miss out. That is it for me folks for this week. I hope to find some good books next week and I hope you do too. Until then Happy Reading.